Bold prints are all the rage right now, but it’s even more fashion forward to wear them head to toe! The good thing about prints is that anyone can wear them and there are plenty of options on how to wear them. Want to mix things up? Try pairing stripes with polka dots or florals – mixing prints is a great way to get more use out of your current pieces and look super stylish. Did you know you can get The Style Scribe blog posts straight to your inbox every morning? Click here to subscribe and be the first to see what’s new daily! Thanks Julie! Definitely going to try and do them a couple times each month! i like the 30’s one best but im in my 20’s. yikes! I do too – great minds think alike! 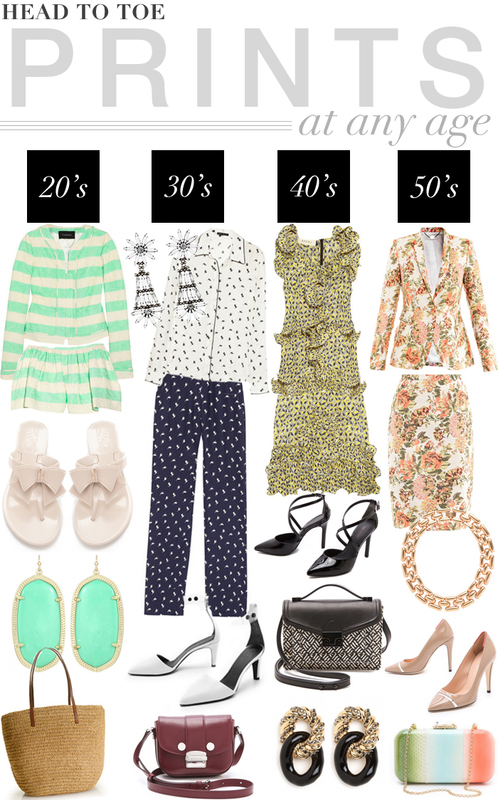 love the 20’s option – perfect for spring time in hot texas! LOVE all of your picks! Thanks so much for the feature!